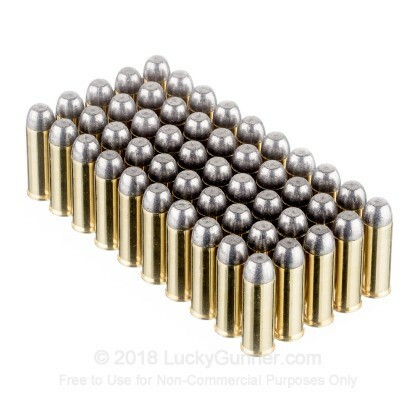 The 44 and 45 caliber rounds were the most popular rounds used for self defense back in the age of the cowboys, and the 45 Long Colt was definitely among their favorites. Originally developed in the 1870's as a black powder round, it was eventually modified into a metal cased round, which is what we use today. 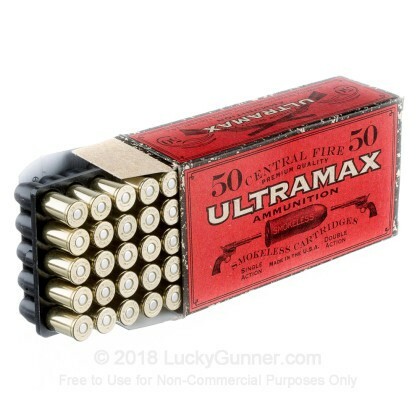 Who else should provide you with a classic cowboy round than an all American company like Ultramax. Since their founding over 30 years ago, Ultramax has come to cover America with their fantastic, American made ammunition. 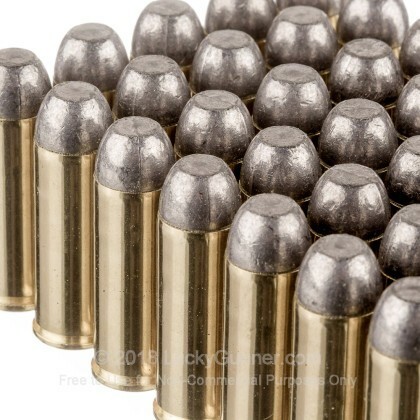 If you are looking for a great range round for your favorite cowboy gun, these 250 grain, round nose rounds are for you. 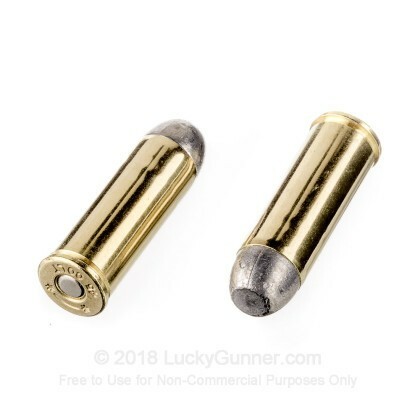 Brass cased and boxer primed, these rounds are reloadable as well, letting you get your money's worth out of these American made range rounds. 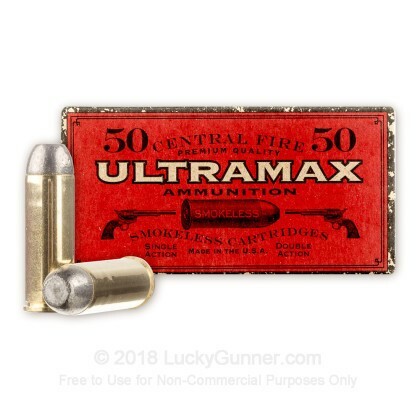 We don't have any reviews yet for this particular .45 Long Colt ammo from Ultramax. 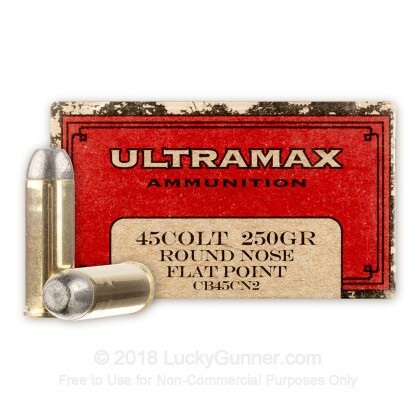 If you'd like to be the first to review this particular .45 Long Colt ammo from Ultramax, fill out the form below. Q: Is this remanufactured ammo? Or is it brand new? A: Hello Tyler, This specific Ultramax ammunition is one of their "new" ammunition offerings. This specific round from them is not remanufactured.